Taste of the Wild PREY Angus Beef Formula for Cats is formulated to meet the nutritional levels established by the AAFCO Cat Food Nutrient Profiles for All Life Stages. Angus Beef Formula for Cats is rated 4.5 out of 5 by 201. Rated 5 out of 5 by Alice56 from Miso Approves-Yummy!! Our indoor only cat was recently diagnosed with a double ear infection-he has issues with foods and has a narrow range of foods that do not upset his stomach-imagine a 20 lb cat with explosive diarrhea....not fun for any of us! I read that corn is a pet food ingredient that is know to cause allergies or reactions like yeast type skin infections and also ear infections. We began reading labels and saw that Taste of the Wild had a beef formula-and no corn or grain-Beef is one of the things that our cat can eat but very hard to find in cat food. We purchased the small bag to try out-MISO LOVES IT!! When he had no adverse reaction after eating it, we went back and bought the large bag. We have 4 cats but they eat the same foods. I hope we will be able to find this food in the future because all of our cats are eating it with gusto! Rated 3 out of 5 by rory from At first, when I received some samples of this food, I was stoked, and so were my cats! They ate it up quickly and my one cat who has a sensitive stomach and throws up basically everything didn't throw up this food! Fast forward to now when I bought a bag of the food to mix in with usual food I've been giving my cats. After about a week or two, I was noticing itchy clusters of bumps on all three of my cats, so I will be phasing out this food until it's all gone. I gave it three stars despite my cat's skin reactions to it because they loved eating the food, the food itself seems to be a high quality (or at least with quality nutrition definitely in mind), and because it didn't irritate the one cat's sensitive stomach. Rated 5 out of 5 by TMILL from It's a hit. I have two kitties at different life stages and they loved both formulas. I bought my first full size bag of the beef today, as I was waiting until I ran out of their other LID food. I am impressed with the ingredients and the fact that all (of my) cats love the food. Thanks TOTW! Rated 5 out of 5 by Judy from My cat loves it I recently decided to get a puppy. The owner suggested Taste of the Wild products. He sent home with me a little cat food to see if my cat liked it. He was getting picky about his wet food and didn't care if he ate the dry. I started feeding him ONLY the dry Taste of the Wild. Within two weeks I seen a noticeable difference in him. He started playing harder and longer. His coat became softer and believe it or not, he became more loving. I honestly think I was slowly killing my cat. I wish I knew about Taste of the Wild sooner and will continue to use this for my cat and for my new puppy. Rated 5 out of 5 by zombiluvr from Influenster just sent me this for free and I was so incredibly excited to have the cats try it out. They normally eat the normal taste of the wild rocky mountain feline formula and they seem to really like it, but they INHALED this stuff. I know I can trust taste of the wild for my pet food needs because they use great ingredients and provide my cats with protein packed food! 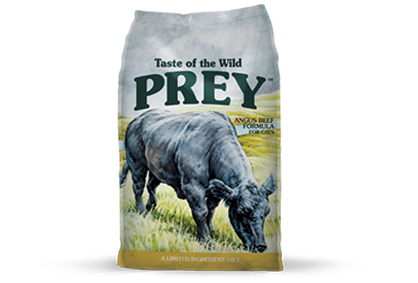 Taste of The Wild prey has even better ingredients than standard because its gmo (not that this is a problem, but we won't get into that) free and has limited ingredients to keep my kitties tummy happy!! Rated 4 out of 5 by peytons1 from We are using our samples as treats. Anytime you change a cat or dogs diet suddenly it will upset their digestive system. Angus beef is definitely a unique flavor option for cats. 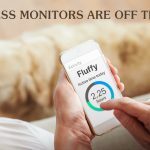 It is fairly high in calories compared to a lot of other grain free foods in the market. There are a lot of ingredients that I would not have my pets eat on a daily basis. Although this is not a food I would feed my pets, the packaging and quality seems good. Cats specifically thrive on certain byproducts. These extremely limited ingredient formulas are not ideal for regular use. I purchased this brand on 9/19/18 at a Tractor Supply and the best buy date was 9/21/18. How long will it still be good? Hi, Kathy and thank you for reaching out. Our recipes are only guaranteed through the Best By date on the back of the bag. Can you give us a call at 1-800-342-4808 (8 a.m. - 5 p.m. CT weekdays) so we can look into this further? We apologize for any inconvenience this may have caused and look forward to hearing from you. Thank you. Hi, Jack &ndash; if your dog is allergic to tomatoes, we recommend not feeding him any food that contains tomatoes or tomato pomace. The processing method does not affect the potential for an allergic reaction unless the tomatoes have been hydrolyzed, which they have not been in our PREY recipe. Hello, Barb and thanks for reaching out. Prices for PREY will vary as retailers set their own pricing. However, we strive to make TOTW PREY an affordable option, as it is our goal to provide great nutrition at a fair price. What protein is the &quot;natural flavor&quot; in the ingredients? How is this protein processed? Hello and thanks for your question! Natural flavoring is an ingredient added for enhanced palatability and an extra-tasty meaty flavor in your pet's food. It's made from hydrolyzed chicken, which means that the protein is broken down into small particles that are less likely to be recognized by the immune system in a pet with food allergies. Additionally, it does not contain MSG. Hi. Does your Angus Prey cat food have chicken in it? Hello, Susan and thanks for your question! Our Angus Beef recipe is free of chicken. Hello, thanks for reaching out! We&rsquo;re excited to hear about your interest in Taste of the Wild! To obtain a sample, please visit your local retailer (to find one near you, visit https://www.tasteofthewildpetfood.com/where-to-buy/?cs=ni). You can also contact our product specialists at 1-800-342-4808 (8 a.m. - 5 p.m. CT weekdays) or at https://www.tasteofthewildpetfood.com/contact-us to request samples. Please know, all of our products have a satisfaction guarantee. If you purchase a product and it doesn't work out for your pet, you may return it (with receipt) for a refund or exchange. 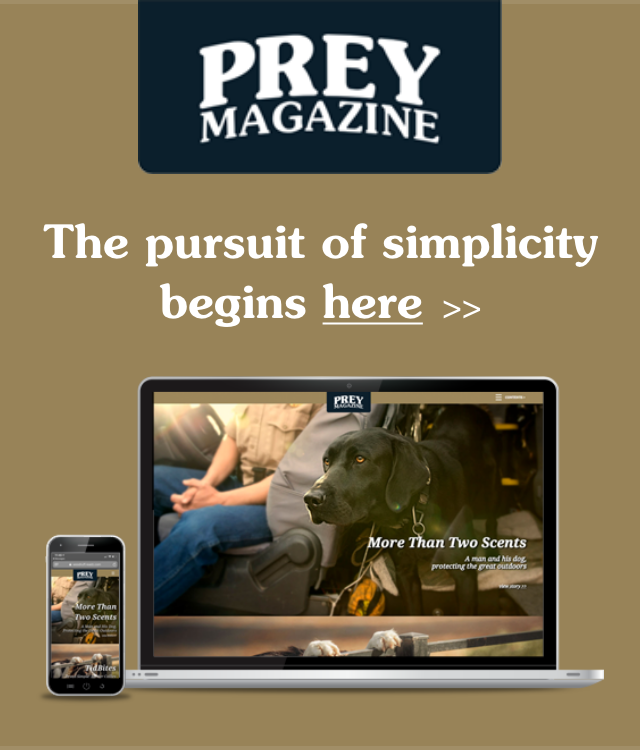 Although we do not offer coupons at this time, our authorized retailers offer a PREY loyalty program. With this program, when you buy eight bags of the same size and formula, you get the ninth bag free. What exactly is the vitamin e supplement? There is one that is not good for cats, but nevertheless is used in fish products for cats. Hello, Michelle! The vitamin E supplement is a synthetic vitamin that provides essential vitamin E to the diet. Vitamin E helps protect cell membranes, regulates intracellular respiration and is important for immune function. If you have any additional questions about vitamin E for cats, please give us a call at 1-800-342-4808 (8 a.m. - 5 p.m. CT weekdays). Hello, Sue and thanks for reaching out. There have not been any recent ingredient changes to our Angus Beef Formula for Cats. Please know, allergies can be caused by a variety of reasons, including environmental triggers as well as food. We recommend consulting your veterinarian to help determine the cause of your cat&rsquo;s allergies.